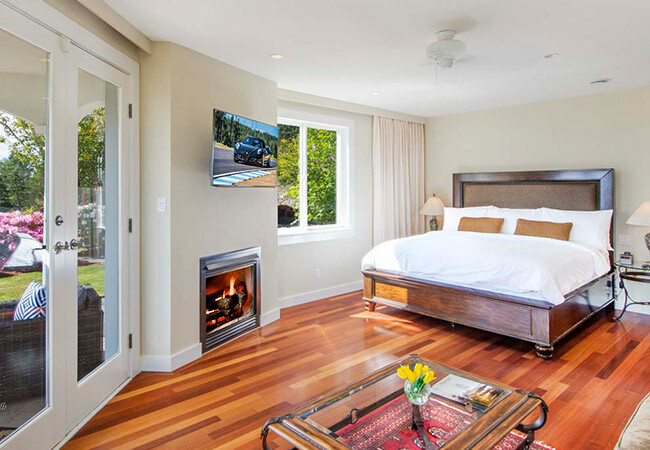 Tucked high above the wild Coast of the Pacific Ocean and the Finlayson Arm inlet, with sweeping views over the City of Victoria, the Olympic Mountains and Mount Baker, the Villa Eyrie Resort is a one of a kind luxury getaway. 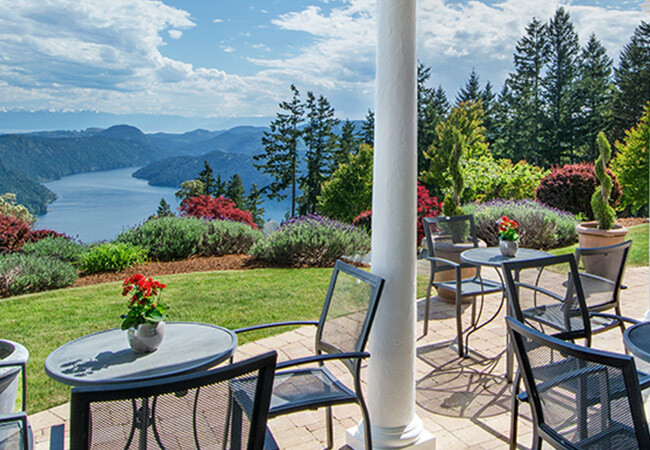 With magnificent views from every room combined with Canada's cleanest air, west coast inspired cuisine and relaxing spa treatments, make the Villa Eyrie Resort your home away from home. There are a number of things that can leave one breathless. The birth of a child, witnessing an orchestra play a Mozart symphony in a grand concert hall or a groom at the end of the aisle as his bride first appears. Other times, it is the mere sight of something awe-inspiring. Sitting on the balcony watching the day ease into twilight, soaking the adrenaline away in a warm bath, or perhaps sitting by your wood burning fireplace with a nice glass of wine, a suite at the Villa Eyrie Resort is the gateway to complete tranquility at the end of your day. 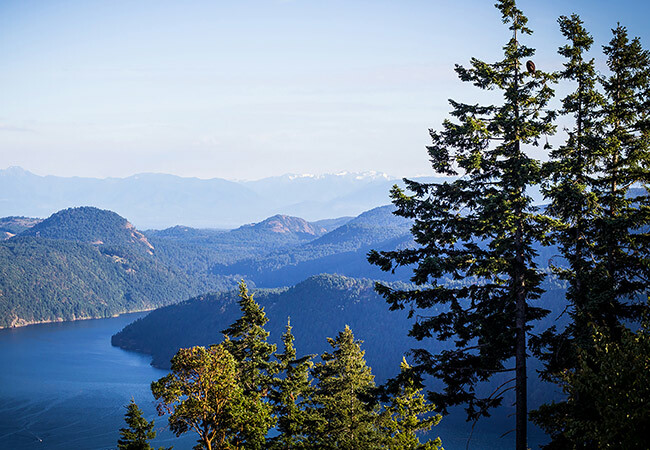 Vancouver Island's temperate climate provides ideal growing conditions for locally produced food products. 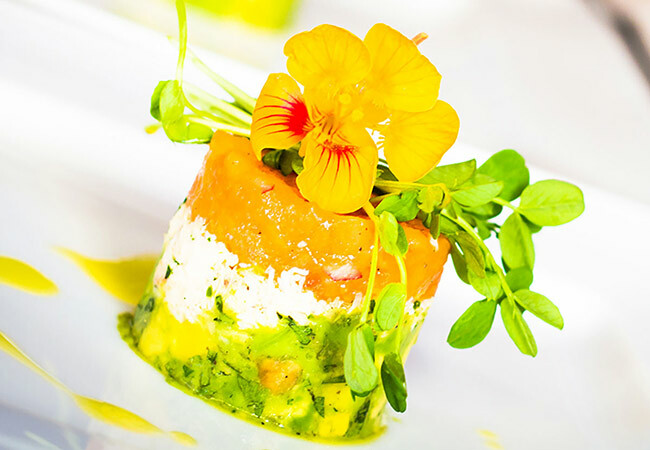 In the hands of the Island's top chefs, these products are turned into meals that celebrate the very best of the Island. While Vancouver Island offers no end of interesting and engaging activities, there are times when a quiet and relaxing afternoon can be restorative. Our spa treatments are designed to enhance your well-being, and provide a sense of tranquility. You will be provided the opportunity to re-acquaint yourself with a sense of serenity. Coming Spring 2016 Track Facts : Turns and Topography Vancouver Island Motorsport Resort Location Revealed! Stay informed about news, special offers, products and services from or on behalf of MINI Canada and MINI Victoria. Stay informed about news, special offers, products and services from or on behalf of MINI Canada and MINI Victoria†.